Artist lineups by day and set times have been announced for Episode 09 at Bank of NH Pavilion in Gilford, NH on September 15-16. 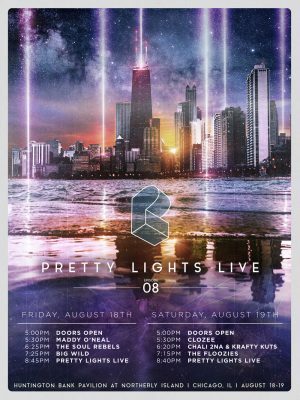 Artist lineups by day and set times have been announced for Episode 08 at Northerly Island in Chicago, IL on August 18-19. 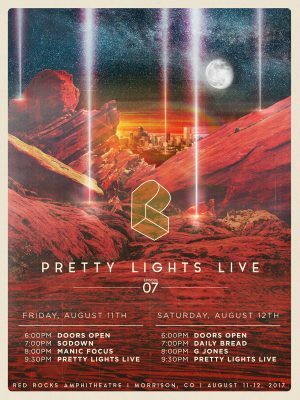 Artist lineups by day and set times have been announced for Episode 07 at Red Rocks Amphitheatre in Morrison, CO on August 11-12. 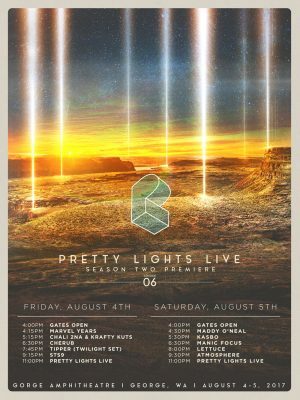 In continuation of 2016’s Episodic Tour, the Season Two Premiere, Episode 06, taking place at the legendary Gorge Amphitheatre in George, WA on August 4th and 5th. 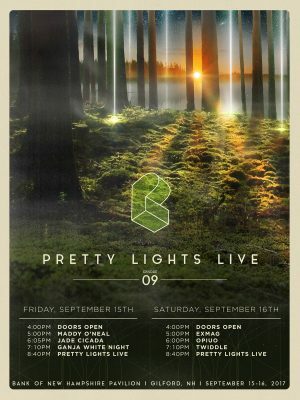 Pretty Lights Live will perform two nights, featuring Derek Vincent Smith, Borahm Lee, Alvin Ford Jr., Chris Karns and Brandon Butler. 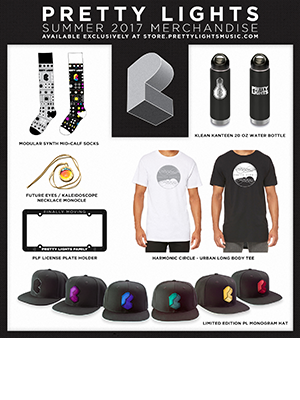 We stocked the online store with fresh gear and special items to get you ready for the Episodic Tour! 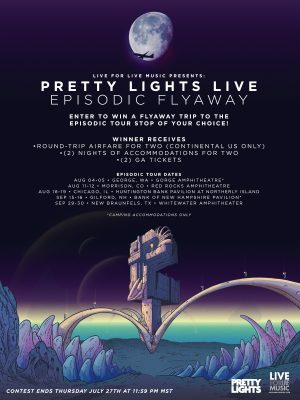 As we gear up for Season 2 of the Episodic Tour, we’ve teamed up with Live for Live Music to give you and a friend a chance to win a flyaway experience to the Episodic Tour stop of your choice!